Q. What do you need to host a linky party? A. You need to install a widget in your blog that allows you to accept link submissions from your readers. 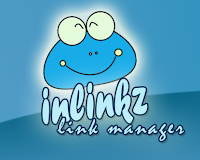 Here is a quick video to explain how to start using InLinkz. I looked into the paid subscription ($1.99/month or $19.99/year) because I much prefer the thumbnail collections. Many of our blog names are similar so I like pictures of the blogs that are participating. With the paid subscription you can set the preferences to ensure polite linking! You can require the person linking to link back to you. The widget searches their blog for your url! You can also require that the link they enter is for the specific post and not just their general blog url!! (If you don't understand why these are important read my previous post of Linking Etiquette.) If the blogger doesn't follow these rules, they can't post!!! Did you know that this widget can also run your giveaway??? No more numbering comments or taking a picture of the random number generator. The widget automatically draws the winner and notifies them! Did you know that you can earn 65 cents commission on each paying user that comes from your links? You can even put the links on Facebook and Twitter! Iphone users can even enter their links from their phone! Would you like to try these cool features out for free? a FREE upgraded InLinkz account for 4 months! That means you can host as many linky parties as you want using thumbnail pics as well as trying out the other great features. Don't worry, after the 4 month free upgrade ends your account will revert back to a free account and any collections you start during this 4 months will still be safe. 1. Earn 1 entry by blogging about this giveaway on your blog. 2. Earn 1 entry by following/subscribing to both my blog and InLinkz blog. 3. Earn 1 entry by following my blog and InLinkz on Facebook. 4. Earn 1 entry by following my blog and InLinkz on Twitter. After you complete an entry requirement (ex. Following BOTH blogs) link up! And for the first time (that I know of) in teaching blogland...we are going to let InLinkz automatically pick and notify the winners! Let's try it! This giveaway ends next Monday, August 1st at NOON sharp! Very cool Jenn! You post makes me wish I were a giveaway offering, linky party hosting, power blogger! Love this giveaway! And thanks for putting up the video...very helpful! I'm still new to the blogging world, and I'm definitely going to be creating an account with InLinkz! Thanks, Jenn! My linky thumbnail didn't quite turn out right this time. Still learning! I don't have a blog button yet, but I'm working on it, so hopefully next time I link up it will be a decent thumbnail! This giveaway is awesome! I am posting it on Fb! I have a post set to blog about this giveaway tomorrow (Wednesday). I follow both blogs on facebook. Link up for each one you do. If you want to comment too you can but it isn't required.